Use enough rope to form the knot. In the standing end make one loop, and then another. Overlap the two loops as a Clove Hitch. Pass the tail end up through the Clove Hitch, around the standing end, and down through the Clove Hitch. Tighten the Clove Hitch to finish the knot. 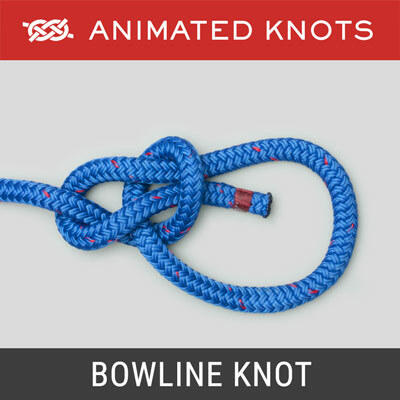 Uses: The Water Bowline is described by Ashley as a Bowline with an extra half hitch (ABOK # 1012, p 186). 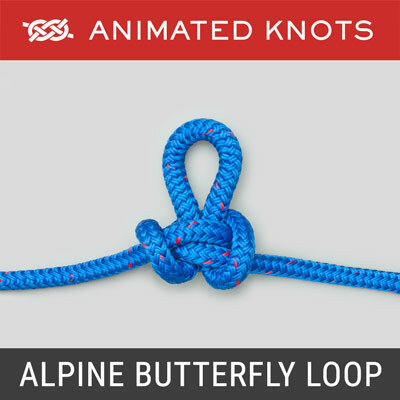 It makes a secure loop in the end of a piece of rope. 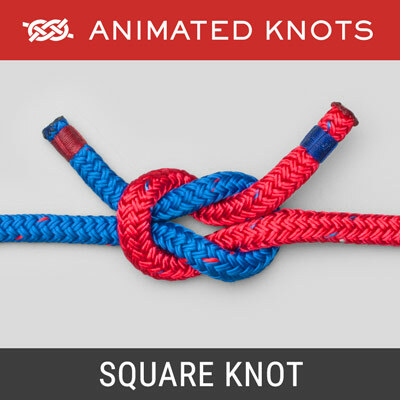 Name: Its name suggests it might have been developed for more secure use in water and Ashley's description starts with "If a Bowline is to be towed through water...."
Double Bowline: The animation shows the two initial loops overlapped to make a clove hitch. 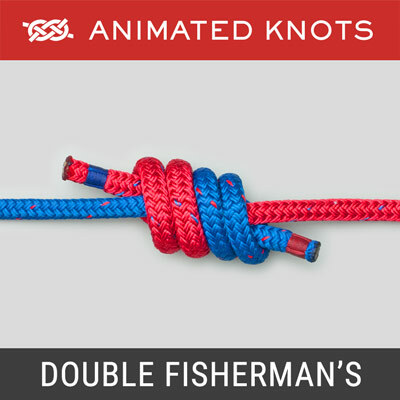 An excellent alternative is the Double Bowline (ABOK # 1013, p 186). There are still two loops but they lie beside each other with no overlap. For photography the loops are shown around each other. When tightened they lie by beside each other as two adjacent coils. Tying it: I prefer to form the clove hitch first and then tie the knot by threading the end up, around, and down. Some authorities prefer to form each half hitch in sequence by using the short end to make a half hitch around the standing end and then pulling to flip the half hitch into the standing end. 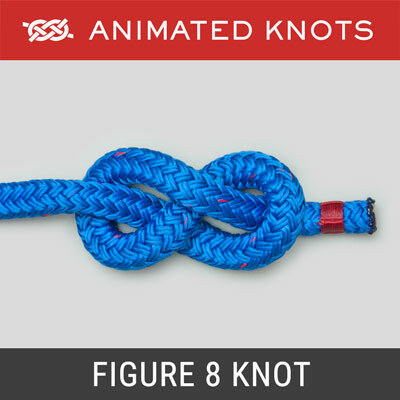 Advantages: It is a stable knot that is fairly easy to tie and to inspect. 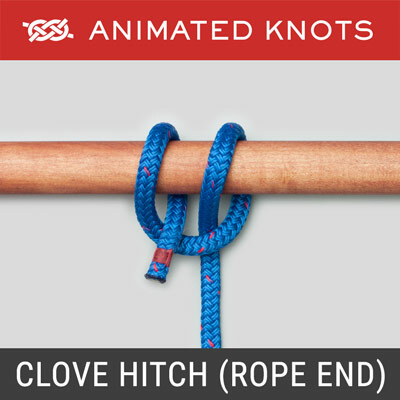 The extra half hitch, forming a Clove Hitch, provides a more secure grip on the tail end. Clove Hitch Option: The Clove Hitch tends to separate slightly under load. Some authors prefer to invert the Clove Hitch so that the tension compresses the two half hitches against each other. Although this version may be slightly more secure, it may also be slightly harder to untie. Less Likely to Shake Undone Unloaded: If I had used a Water Bowline instead of a Bowline I might not have lost my scrubbing brush.